Both these writ petitions under Article 226 of the Constitution have called into question the appointment of Dr Anil Kumar Yadav as Chairperson of the Uttar Pradesh Public Service Commission1. In both petitions, a writ of quo warranto has been sought with a consequential direction for setting aside a notification dated 2 April 2013 appointing him to the post of Chairperson under Article 316 of the Constitution. In the first petition, a declaration has been sought in addition, that the appointment is ultra vires Article 316. The petitioner before the Court in the first writ petition is an Advocate, practising before this Court. The second of the two writ petitions has been instituted by eight petitioners, among them being a former Director General of Police of Punjab. Joining him in the writ petition, are former Secretaries to the Union and State Governments, officers of the State including a former Director General of Police, a former Director General of the Border Security Force and a Vice Chancellor Emeritus of Birla Institute of Technology. For convenience of reference, the Chairperson of the Commission, whose appointment has been questioned, would be referred to as the first respondent in accordance with the array of parties in the first writ petition. The first respondent was appointed as a member of the Commission on 28 November 2006 and joined on 2 December 2006. His term as member came to an end on 1 December 2012. A vacancy in the office of Chairperson of the Commission was to arise on 31 March 2013 following the completion of the term of the Chairperson. The State Government received bio-datas of eighty-three persons who had either expressed their willingness to be appointed to the post of Chairperson or had "recommendations" to back their candidature. On 29 March 2013, a note was put up by the Officer on Special Duty of the Department of Personnel of the State Government to the Principal Secretary (Appointments and Personnel) stating that the post of Chairperson and three posts of members (one of them from the official category and two from the non-official category) were required to be filled up. The posts of members had already fallen vacant whereas the post of Chairperson was, it was stated, to fall vacant on 31 March 2013 following the completion of the term of Shri Malkiyat Singh, the then Chairperson. The file note indicated that a nomination would have to be made by the Chief Minister before a proposal was submitted to the Governor of the State. The Principal Secretary and the Chief Secretary endorsed the file on the same day, 29 March 2013. On 29 March 2013 itself, the Chief Minister nominated the first respondent to the post of Chairperson against the vacancy which was to occur on 31 March 2013. The then Governor of the State of Uttar Pradesh approved the proposal on 31 March 2013. On 31 March 2013, the Officer on Special Duty of the State Government addressed a communication to the Collector and District Magistrate, Mainpuri directing him to inform the government by a return facsimile communication on the same day as to whether there was any material adverse to the antecedents or character of the first respondent who was described as the Principal of Shri Chitragupt Post-graduate Degree College, Mainpuri. On 31 March 2013, the Lekhpal submitted a report stating that nothing adverse to the antecedents and character of the first respondent had been found and that the first respondent had filed an affidavit before him stating that there was nothing adverse to him or against him. The report of the Lekhpal was forwarded by the Tehsildar, Mainpuri to the Sub-Divisional Magistrate who, in turn, forwarded it to the Collector and District Magistrate on the same day. The date on which the enquiry took place was a Sunday. On 1 April 2013, the Collector, Mainpuri submitted his report to the Officer on Special Duty, Appointment Section-IV, stating that the Tehsildar had, in his report, indicated that nothing adverse was found against the first respondent. Following this, the appointment of the first respondent was notified on 1 April 2013. (IX) The first respondent is a beneficiary of a political largesse conferred by the state government and has been hand picked on the basis of extraneous considerations having no bearing on integrity, competence or character. (III) The assessment, if any, made in respect of the integrity and competence of the first respondent and having a bearing on his ability, to discharge the constitutional responsibilities conferred upon the Chairperson of the Commission. "It is stated that against Dr. Anil Kumar Yadav at Police Station Shahganj, District Agra, Case Crime No.98 of 1993, Case Crime no.235 of 1983, Case Crime no.413 of 1983 and Case Crime No.553 of 1983 have been registered under the relevant Sections. In the same way at New Agra, Police Station in District Agra Case Crime No.553 of 1985 has been registered under Section 3 of Goonda Act. Furthermore, at the same Police Station i.e. New Agra, Case Crime No.861 of 1991 has been registered under Section 506 of I.P.C. Furthermore, in District Agra at Police Station Lohamandi and Hari Parvat Case Crime No.461-A of 1984 and Case Crime No.31 of 1984 respectively has been registered against Dr. Anil Kumar Yadav." "On perusing the file which has been produced by the learned Advocate General, it appears that eighty three bio-datas were received by the State Government for consideration, for appointment on the post of Chairperson of the Uttar Pradesh Public Service Commission. The name of the first respondent appears at serial number eighty three. The file indicates that a note was put up by the Principal Secretary (Appointment and Karmik) on 29 March 2013, which was endorsed by the Chief Secretary, seeking a decision on the person to be appointed as Chairperson of the Uttar Pradesh Public Service Commission in view of the fact that the term of the then Chairperson was to come to an end on 31 March 2013. The Chief Secretary placed his signature on the file on 29 March 2013 and on the same day, the name of the first respondent was recommended by the Chief Minister for approval by the Governor. On 31 March 2013, a communication was addressed by the Special Officer in the Karmik Department to the Collector, Mainpuri for a verification of the antecedents of the first respondent with a specific direction that this process should be completed on the same day. The Lekhpal submitted a report on 31 March 2013 (which is stated to have been a Sunday), stating that there was no adverse material against the first respondent and that the first respondent had also submitted an affidavit. The report of the Lekhpal was placed by the Tehsildar, Mainpuri before the Collector, Mainpuri, who in turn, forwarded it to the Special Officer in the Karmik Department on 1 April 2013. The appointment of the first respondent was notified on 1 April 2013." This Court also sought a disclosure by the State on whether any guidelines or parameters have been framed for appointment to the Commission and, if not, the action which the State Government proposes to take in the matter, particularly having regard to the judgment in Salil Sabhlok (supra). By a further order dated 13 August 2015, this Court, while granting an extension of time to file a counter affidavit, specifically sought a disclosure on (i) whether any criminal cases were or are registered against the first respondent and status thereof; and (ii) the process of selection which was followed before the first respondent came to be recommended for appointment as Chairperson of the Commission. In pursuance of these directions of the Court, affidavits by way of counter and rejoinder have been exchanged and supporting pleadings have also been filed. We will shortly indicate the nature of the defence of the State to the challenge in the two writ petitions. (VI) The fact that the material relating to the criminal prosecutions against the first respondent was not placed before the State Government before the notification of the appointment would not result in the appointment being set aside. If on an examination of the material, the Court holds that the first respondent is suitable for appointment to the post, the challenge to his appointment would be liable to be rejected. The criminal prosecutions relating to the first respondent are at a distant point in time when he was a student. The prosecution under Section 307 of the Penal Code related to an incident of 1984 and resulted in an acquittal on 23 May 1990. In the meantime, the first respondent was educated and held office of teacher and principal after which he was a member of the Commission for a full term. These are indicators of the fact that the appointment would not stand vitiated by virtue of the fact that he was prosecuted for offences under the Penal Code. The submissions which were urged by the learned Additional Solicitor General of India have been adopted by the learned Senior Counsel appearing on behalf of the first and second respondents. The first respondent has filed his affidavits in defence to the case, setting out his explanation, particularly in relation to the criminal cases on which reliance has been placed by the petitioners. It is in this background that the submissions which have been urged on behalf of the petitioners, fall for consideration. (1-A) If the office of the Chairman of the Commission becomes vacant or if any such Chairman is by reason of absence or for any other reason unable to perform the duties of his office, those duties shall, until some person appointed under clause (1) to the vacant office has entered on the duties thereof or, as the case may be, until the Chairman has resumed his duties, be performed by such one of the other members of the Commission as the President, in the case of the Union Commission or a Joint Commission, and the Governor of the State in the case of a State Commission, may appoint for the purpose. (b) a member of a Public Service Commission may be removed from his office in the manner provided in clause (1) or clause (3) of Article 317. (3) A person who holds office as a member of a Public Service Commission shall, on the expiration of his term of office, be ineligible for re-appointment to that office." (vii) any claim for the award of a pension in respect of injuries sustained while serving the government. It is the duty of the Public Service Commission to advise on any other matter which the President or Governor may refer to it. The expenses of Public Service Commissions constitute a charge on a Consolidated fund under Article 322 of the Constitution. "30. ...It is absolutely essential that the best and finest talent should be drawn in the administration and administrative services must be composed of men who are honest, upright and independent and who are not swayed by the political winds blowing in the country. The selection of candidates for the administrative services must therefore be made strictly on merits, keeping in view various factors which go to make up a strong, efficient and people-oriented administrator. This can be achieved only if the Chairman and Members of the Public Service Commission are eminent men possessing a high degree of calibre, competence and integrity, who would inspire confidence in the public mind about the objectivity and impartiality of the selections to be made by them." "The Chairman of the Public Service Commission is in the position of a constitutional trustee and the morals of a constitutional trustee have to be tested in a much stricter sense than the morals of a common man in the marketplace. Most sensitive standard of behaviour is expected from such a constitutional trustee. His behaviour has to be exemplary, his actions transparent, his functioning has to be objective and in performance of all his duties he has to be fair, detached and impartial." Once again, in a judgment delivered in Inderpreet Singh Kahlon Vs State of Punjab5, the Supreme Court emphasized the need for integrity and merit in the evaluation of persons for appointment as members and Chairpersons of Public Service Commissions. In a judgment delivered in 2009 in State of Bihar Vs Upendra Narayan Singh6, these requirements were held in balance against the manner in which unfortunately, appointments which have been made to Public Service Commissions have become a source of conferring political patronage. As a result, integrity and detachment had been by-passed. The Supreme Court took notice of the fact that persons appointed to Public Service Commissions, with a questionable background had indulged in exhibiting faithfulness "to their mentors totally unmindful of their constitutional responsibility". In Centre for PIL Vs Union of India7, the Supreme Court considered the provisions of the Central Vigilance Commission Act, 2003 and the nature of the CVC as an institution, while defining the parameters which would have to be borne in mind to ensure compliance with the provisions of Article 14 of the Constitution. Since the law which has been laid down by the Bench of three learned Judges would have a significant bearing on the issues which have been raised in the present case, it would be necessary to summarize the principles which emerge from the judgment of the Supreme Court. The first principle which emerges from the judgment is that the Central Vigilance Commission is an "integrity institution" which is statutorily created to supervise vigilance administration8. This principle emphasizes the role and nature of the institution. The functions of a statutory or constitutional character, that are discharged by the institution have an important bearing on the process to be followed and in the nature of appointments to be made to the Commission. The second principle which finds recognition in the decision is that a person to be appointed to an august constitutional body must be without any "blemish whatsoever"9 and a person should not be considered for appointment merely because he or she is eligible to be considered for the post. The third principle which emerges from the decision is that while making recommendations, service conditions of a candidate, being a public or civil servant, are not the sole criterion and what is most important is "the question of institutional competence" and "institutional integrity"10 which must be borne in mind. The issue of integrity is not merely an aspect which is personal to the candidate who is proposed to be selected, but is intrinsically related to the integrity of the institution which is to be manned by the person appointed. The fourth precept which emerges from the judgment is that a decision in regard to the nomination of a person for appointment has to be "an informed decision"11. If the process leading up to the appointment has failed to look into relevant materials having a nexus to the object and purpose of the legislation or has taken into account irrelevant circumstances, the decision would stand vitiated on the ground of "official arbitrariness"12. The test is not what is good for the candidate but what is good for the institution and the touchstone has to be one of public interest. The fifth principle is that, there is a distinction, where an appointment is challenged, between "judicial review" and "merit review"13. The ambit of judicial review is confined to the integrity of the decision-making process. These principles which have been laid down in the decision of three learned Judges of the Supreme Court in Centre for PIL (supra) were subsequently followed in a judgment of two learned Judges of the Supreme Court in Rajesh Awasthi Vs Nand Lal Jaiswal14. While dealing with the appointment of a person as a Chairperson of a State Electricity Commission under the provisions of Section 85(5) of the Electricity Act 2003, the Supreme Court observed that "non-compliance with mandatory requirements results in nullification of the process of selection unless it is shown that performance of that requirement was impossible or it could be statutorily waived15. The submission before the Supreme Court was that even if the Selection Committee had not discharged its functions as mandated under the statutory provision, such an omission could be cured by directing the Committee to comply with the statutory requirements. Rejecting the contention that non-compliance with the statutory norms was merely a procedural violation, the Supreme Court held that any such violation affects the very substratum of the appointment since the statute requires that its provisions be followed before a person is recommended. "...the procedure of quo warranto confers jurisdiction and authority on the judiciary to control executive action in the matter of making appointments to public offices against the relevant statutory provisions; it also protects a citizen from being deprived of public office to which he may have a right. It would thus be seen that if these proceedings are adopted subject to the conditions recognised in that behalf, they tend to protect the public from usurpers of public office; in some cases, persons not entitled to public office may be allowed to occupy them and to continue to hold them as a result of the connivance of the executive or with its active help, and in such cases, if the jurisdiction of the courts to issue writ of quo warranto is properly invoked, the usurper can be ousted and the person entitled to the post allowed to occupy it. It is thus clear that before a citizen can claim a writ of quo warranto, he must satisfy the court, inter alia, that the office in question is a public office and is held by usurper without legal authority, and that necessarily leads to the enquiry as to whether the appointment of the said alleged usurper has been made in accordance with law or not." "51. The procedure of quo warranto confers jurisdiction and authority on the judiciary to control executive action in the matter of making appointments to public offices against the relevant statutory provisions. Before a citizen can claim a writ of quo warranto he must satisfy the court inter-alia that the office in question is a public office and it is held by a person without legal authority and that leads to the inquiry as to whether the appointment of the said person has been in accordance with law or not. A writ of quo warranto is issued to prevent a continued exercise of unlawful authority." At the same time, the Supreme Court noted that even if in strict terms a writ of quo warranto would not lie (because the governing statute does not prescribe qualifications for appointment), that would not prevent the Court "if so satisfied, from issuing a writ of declaration"17. The rationale for this position is that the jurisdiction under Article 226 of the Constitution is not merely confined to issuing specified writs but writs in the nature of those specified. A declaration of invalidity can be issued where the process leading up to the appointment of a person to a constitutional or statutory post is arbitrary or violative of Article 14. In Rajesh Awasthi (supra), the Supreme Court observed that "a writ of quo warranto will lie when the appointment is made contrary to the statutory provisions"18. The concurring judgment held that a citizen can claim a writ of quo warranto and that in the proceedings he "stands in the position of a relater". The Supreme Court held that the real test is to see whether the person holding the office is authorized to hold it in accordance with law and even delay and laches would not constitute an impediment for dealing with a lis on merits. "...The Court is required to see that the larger public interest and the basic concept pertaining to good governance are not thrown to the winds.20"
The decision holds that delay and laches should not be allowed any role in such a matter because a person holds an office as a usurper and the Court seeks to prevent the continuance of that person in the office. Now, it is in this background that it is necessary for the Court to consider the facts of the present case. The office of Chairperson of the Commission was due to fall vacant on 31 March 2013 when the term of the then holder of the office was to end. On 29 March 2013, a file note was put up by the Officer on Special Duty in the Personnel Department, recording that in terms of a Government Order dated 12 September 1994, it was necessary to conduct a verification of the character and antecedents of a person proposed to be appointed as Chairperson and as member of the Commission prior to the making of an appointment. The note stated that the then Chairperson Malkiyat Singh was to demit office on 31 March 2013. Besides, there were vacancies of three posts of members of the Commission. The Officer on Special Duty sought a nomination of names for the post of Chairperson and of members drawing the attention of the Chief Minister and the Chief Secretary to what was stated above and indicated that upon a nomination being made by the Chief Minister, the file would have to be placed before the Governor of the State for approval. The proposal was endorsed by the Principal Secretary (Appointment and Personnel) on 29 March 2013 and by the Chief Secretary on the same date. The file was placed before the Chief Minister on the same day when a nomination was made to the effect that on the post of Chairperson which was to fall vacant on 31 Mach 2013, the name of Dr Anil Kumar Yadav, whose bio-data was placed at serial number 794 was being nominated for the office of Chairperson. The entire process commencing from the preparation of the file note, the processing of the note in the department responsible for appointment, and by the Chief Secretary and the eventual nomination by the Chief Minister was completed in one day. There has been no evaluation of the credentials of the first respondent. There is no reference to integrity, competence, qualifications or experience. The nomination was rushed through in a day. Serial Nos.1, 6, 7, 8, 11 to 15, 18, 19, 24, 25, 29, 31, 33, 34, 37, 38, 41-44, 54, 56, 60, 62, 63, 67, 69, 70, 72, 73, 75, 76, 80, 81 and 83. The first respondent is among them. Serial Nos 14, 26, 29 and 38. Serial Nos18, 43, 44 and 57. The file ex facie does not contain any evaluation of the candidates who had either intimated their willingness or in respect of whom, as it states, recommendations had been received. In the entire file note which was placed before the Chief Minister, there was absolutely no comparative evaluation of the merits, qualifications, administrative experience, competence or integrity of the pool of candidates. The nomination made by the Chief Minister is completely silent in regard to any assessment of the pool of candidates for appointment to the post of Chairperson of the Commission. In fact, as we have noted, the entire process leading up to the preparation of the file note and the nomination of the name of the selected candidate was completed on one day, 29 March 2013. The file was then placed before the Governor who approved the proposal on 31 March 2013. There is absolutely no consideration in the file of matters relevant to the appointment to a constitutional office of the Chairperson of the Commission under Article 316 (1) of the Constitution. There is no reference to credentials, background, qualifications, experience, integrity or competence. The submission which has been urged on behalf of the State by the learned Additional Solicitor General of India is that it may be presumed that since the selected candidate had already worked as a Member of the Commission for one full term between 2006-2012, he would have been considered to be the most suitable candidate for the post of the Chairperson. This, however, cannot be accepted for two reasons. Firstly, there is nothing to indicate that this factor was borne in mind for, as we have already noted, there is absolutely nothing in the file to indicate that there has been an application of mind to the factors emphasised in the decisions of the Supreme Court. Secondly, as we find from the tabulated chart in the file, one of the candidates at serial no 77 was also previously a Member of the Commission. Any process of evaluation - even assuming that the State Government was inclined to place some weight on the prior experience of a candidate as a member of the Commission, would necessarily have to consider whether any other candidate who had also worked as a member of the Commission fulfilled the constitutional requirements for appointment. We clarify that we are not in these proceedings expressing any view on whether any other candidate was eminently more suitable for appointment because that would overreach the power of judicial review. As the Supreme Court has emphasized, the object and purpose of judicial review is to determine as to whether the decision-making process has been fair, transparent, and in a manner consistent with Article 14 of the Constitution. Reading the file which has been produced by the Advocate General, another aspect which cannot be overlooked is that the boi-data of the selected candidate Dr Anil Yadav is dated 25 February 2015. The bio-data contains on the first page itself an indication that it was received from the Samajwadi Party Central Office on 21 March 2013 at 5.54 pm on facsimile, the telephone number being indicated therein. The facts which, therefore, are glaring in this matter would indicate that the appointment of the first respondent was rushed through in a tearing hurry without an application of mind to the credentials of the pool of available candidates. The receipt of the bio-data from the central office of the ruling political party in the State, the manner in which the process of nomination was rushed through and the imperatives which compelled the Officer on Special Duty to instruct the District Collector to complete the enquiry on one day which was a Sunday establish the manner in which the process of appointment has been subverted to choose a hand picked candidate. Far from being transparent and objective, the process has degenerated into the conferment of a largesse. Article 316 of the Constitution makes a provision in clause (1A) to the effect that if the office of the Chairman of the Commission becomes vacant, those duties shall, until some person appointed under sub-clause (1) enters upon the office, be performed by such other Member of the Commission as the Governor of the State in the case of a State Commission may appoint for the purpose. To say the least, there was no tearing hurry that would have warranted the government to complete the process within one day even assuming that the Chairperson was to demit office on 31 March 2013. The manner in which events had unfolded thereafter leave a deep imprint in regard to the brazen abuse of power. On 31 March 2013, a communication was addressed by the Officer on Special Duty to the Collector and District Magistrate Mainpuri informing him that the he had received directions to the effect that a verification should be carried out of the character and antecedents of Dr Anil Kumar Yadav, described as the Principal of Shri Chitragupt Post-graduate Degree College, Mainpuri, within that day, and that a report should be intimated to the Officer on Special Duty by return fax. Following receipt of this letter on 31 March 2013, the Lekhpal filed a report on the same day, stating that nothing adverse had been found. The Lekhpal also recorded that the State had desired to obtain information on whether there was anything adverse to the character and antecedents of the candidate. In that context, the Lekhpal stated that an enquiry had been conducted and an affidavit had been submitted by the candidate on the basis of which it was stated that there was nothing adverse to the candidate. The Lekhpal submitted his report on 31 March 2013 (complying with the directions to complete the enquiry within the same day) to the Tehsildar who, in turn, marked it to the Sub Divisional Magistrate. On 1 April 2013, the Collector and District Magistrate Mainpuri forwarded the report to the Officer on Special Duty upon which the appointment was notified. Now, it would be material to note that the Government Order dated 12 September 2014 provides a procedure for verification of character and antecedents of persons who have been appointed, inter alia, to the Public Service Commission either as Chairperson or as members. The Government Order notes that the attention of the State Government had been drawn to the fact that appointments are made to the Commission and to other statutory tribunals of persons against whom an investigation is being conducted in respect of serious charges or whose character is in doubt, as a result of which the image of the State is damaged. In order to obviate such a situation, modalities were laid down for conducting a verification of character and antecedents. The Government Order states, inter alia, that in the case of a candidate who does not belong to the official category, a verification should be conducted at the present place of residence as well as the original place of residence. In the order of appointment of the first respondent as a member of the Commission of 28 November 2006, there was a reference to both the institution where he was working in Mainpuri as well as to his original place of residence in Agra. Clearly, therefore, the State Government was in knowledge of the fact that though the first respondent was working in a post-graduate degree college as a Principal at Mainpuri, his original place of residence within the terms of the Government Order dated 12 September 1994 was at Agra. In spite of this, no verification of antecedents and character was made at Agra. This has a considerable degree of bearing in the facts of the present case, as we shall now consider. By the order of this Court dated 27 July 2015, a specific reference was made to the allegation that several criminal cases had been registered against the first respondent in the district of Agra including under the Uttar Pradesh Control of Goondas Act, 1970. By the order of this Court, the State was specifically granted time to respond to the allegation. By the subsequent order of this Court dated 13 August 2015, the State was directed to clarify, inter alia, whether any criminal cases were or are registered against the first respondent and the status thereof. In response to the directions of this Court, the State has filed a supplementary counter affidavit on 23 September 2015. The supplementary counter affidavit contains a report dated 24 July 2015 of the Senior Superintendent of Police, Agra. The report indicates that in three of the criminal cases which were referred to by the petitioners, FIRs were either lodged against unknown persons or that the name of the first respondent does not figure therein. At serial number four of the tabulated statement, there is a reference to Case Crime No 553 of 1985 under Section 3 of the Uttar Pradesh Control of Goondas Act, 1970. The affidavit of the State indicates that an order of externment was passed against the first respondent on 31 October 1986 by the Additional District Magistrate (E) (City), Agra externing the first respondent from Agra for a period of six months. An appeal was filed by the first respondent before the Commissioner, Agra Division under Section 6 of the Act which was allowed by an order dated 3 February 1987. The order of the appellate authority indicates, inter alia, that the first respondent had produced a certificate from the Assistant Director (Horticulture) of the Municipal Corporation of Delhi stating that from 21 October 1986 he was working in the Horticulture Department. Moreover, the appellate authority came to the conclusion that the specific cases which were mentioned in the police report had either resulted in a final report or are sub-judice. The appellate authority was of the view that since the first respondent was in Delhi and the complete notice period would expire in three months, the appeal be allowed and the order of externment be set aside. On behalf of the petitioners, it has been submitted that while on the one hand, the first respondent has asserted before the appellate authority that he was engaged in Delhi with MCD, his bio-data on the file of appointment claims that he was engaged in a college at Mathura during the same period. The second criminal proceeding to which a reference has been made in the affidavit filed by the State is Sessions Trial No 113 of 1986 in which the first respondent was charged of an offence under Sections 148 and 307 of the Penal Code read with Section 149 at Agra. The Sessions Trial culminated in a judgment of the IIIrd Additional Sessions Judge, Agra dated 23 May 1990. The facts of the case, as they emerge from the judgment, indicate that the occurrence had taken place on 12 January 1984 in which three persons were injured one of them having suffered bullet injuries. 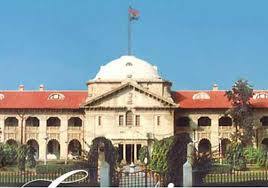 Charges were framed against three persons including the first respondent on 23 August 1988. One of the three accused died during the course of the trial. The judgment of the IIIrd Additional Sessions Judge Agra indicates that one of the injured persons put in an affidavit on 17 November 1989 stating that the accused were not present at the scene of occurrence. The witness was declared hostile. Process was issued against two other injured witnesses. The learned Sessions Judge observed that they had refused to attend the court since they had entered into a compromise. The judgment contains an observation that though the witnesses had knowledge of the proceedings in the case, they were unwilling to appear in the court and to depose for the prosecution. Though the injured witness had sustained a bullet injury (which was held to be duly proved), the Sessions Judge held that since an affidavit had been filed by the witness denying the presence of the accused, the case of the prosecution regarding involvement of the accused in the crime was not proved. The first respondent was acquitted. There was another criminal prosecution under Section 506 of the Penal Code in which, the report indicates that the first respondent was acquitted. The significance of the material which has come on the record of this Court, following the report of the Senior Superintendent of Police dated 24 July 2015 is that there was no consideration whatsoever by the State, of relevant facts bearing on the character and antecedents of the first respondent before his appointment was notified. The learned Additional Solicitor General of India submitted before this Court that the Court should reassess the material and determine as to whether the suitability of the first respondent to hold the office of the Chairperson would be affected once the order of externment under the Uttar Pradesh Control of Goondas Act 1970 had been set aside in appeal and the Sessions Trial on a charge under Section 307 of the Penal Code read with 149 and under Section 148 had ended in an acquittal. This exercise, in our view, is impermissible for the Court in the exercise of judicial review. The issue in such cases is whether the State has applied its mind to relevant facts and material bearing on the suitability, competence and integrity of the candidate. The Chairperson of a Public Service Commission, as the Supreme Court has held, discharges an office of a constitutional trustee. The issue is one of institutional competence and institutional integrity. The State Government is duty bound before nominating a person for appointment to the Governor, to enquire into all relevant facts and circumstances which will have a bearing on the qualifications, experience, competence and integrity of the candidate. The Government Order dated 12 September 1994 requires an enquiry to be made for the purpose of verification both at the original place of residence and at the present place of residence of a candidate. Faced with these norms, the glaring fact which emerges from the record is that the enquiry was conducted only at Mainpuri (the place of work) and not at Agra (the original place of residence). An enquiry at Agra would have divulged material about the criminal prosecutions. The first respondent suppressed them. In the absence of an enquiry, the State did not have before it this material which has a bearing on whether such a person should be nominated to a vital constitutional office which carries high responsibilities. The Officer on Special Duty in the Personnel Department of the State Government informed the Collector and District Magistrate Mainpuri that he had been directed to ensure that the enquiry is conducted within one day. The enquiry was, indeed, conducted within the space of one day. The enquiry, as is admitted, was completed on 31 March 2013 which was a Sunday. Evidently, the first respondent had knowledge of the enquiry which was conducted in respect of his character and antecedents since the Lekhpal submitted a report that the first respondent had produced an affidavit to the effect that there was no material adverse to him of his character or antecedents. Evidently, the material which has emerged from the report of the Senior Superintendent of Police, Agra was brought to light for the first time on 24 July 2015 after this Court had passed an order on the grievance of the petitioner raising the issue. It is, therefore, evidently clear that the material which is contained in the report and which would have a significant bearing on the matter was not considered while making the appointment. "...From the record of the case which we have discussed in detail above, we find it very difficult to hold that respondent No. 3 was even aware that in some record buried in the courts at Mangalagiri he was named as an accused and he was required to appear in the court in connection with that case." These were the distinguishing facts. In the present case, it cannot be and has not, in fact, been argued that the first respondent was unaware of the Sessions Trial and the proceedings for externment. The decision of the Supreme Court in M Manohar Reddy would not hence provide any assistance to the State or to the first respondent. Now, it is in this background that we would have to advert to the judgment of the Supreme Court in Salil Sabhlok (supra). The issue which fell for consideration before the Supreme Court was whether the High Court in the exercise of the writ jurisdiction under Article 226 of the Constitution can lay down the procedure for the selection and appointment of the Chairperson of a State Public Service Commission and quash an appointment in appropriate cases. In that case, the Full Bench of the Punjab and Haryana High Court had laid down guidelines to be followed by the State until a transparent and objective policy, consistent with the mandate of Article 14 of the Constitution was provided for making appointments to posts of Chairperson and members of the Public Service Commission. In the decision of the Bench of two learned Judges, separate judgments were delivered by Hon'ble Mr Justice A K Patnaik and Hon'ble Mr Justice Madan B Lokur. The judgment of Hon'ble Mr Justice A K Patnaik holds that the power to appoint a Chairperson and members of the Public Service Commission, having been vested with the Governor under Article 316, the Governor would have the implied power to lay down the procedure for making appointments and hence this power could not be usurped by the High Court under Article 226 of the Constitution. In the concurring judgment, Hon'ble Mr Justice Madan B Lokur held that while the High Court would not, by itself, frame guidelines for the procedure to be followed in making an appointment to the office of a Chairperson, it could direct the executive to frame guidelines and set the parameters. Moreover, it was held that the Supreme Court could certainly issue appropriate directions to the executive to frame appropriate guidelines and parameters based on the indicators mentioned by the Court. These observations of the Supreme Court, in our view, have to be duly borne in mind. We may indicate that while entertaining this petition, initially on 21 May 2015, this Court acknowledged the limitations on the power of judicial review as set out in paragraph 52 of the decision of the Hon'ble Mr Justice A K Patnaik and paragraph 153 of the decision of Hon'ble Mr Justice Madan B Lokur which emphasise the need for the High Court to be circumspect while entertaining such petitions. The test, as the judgment in Salil Sabhlok lays down, is that the State must select only a person with integrity and competence for appointment as Chairperson of the Public Service Commission. The learned Additional Solicitor General submits that what would vitiate an appointment to a constitutional office of Chairperson of the Public Service Commission is not just that the process leading to the appointment was flawed but that in addition, the appointment was of an unsuitable candidate. The curriculum vitae of the first respondent was, it is urged, that of a qualified and experienced candidate. To accept the submission would be to ignore the line of binding precedent of the Supreme Court, which is impermissible both as a matter of constitutional precept and judicial discipline. In Centre for PIL, the Supreme Court emphasised that where the process leading up to the decision has failed to consider relevant circumstances having regard to the object of the legislation or considered irrelevant circumstances, the decision would stand vitiated on the ground of "official arbitrariness". Non-compliance with the mandatory principles of a fair process under Article 14 would, to utilise the expression in the decision of the Supreme Court in Rajesh Awasthi result in a nullification of the process of selection and vitiate the substratum of the appointment. Where relevant factors were not borne in mind, the Court can - as the judgment in Salil Sabhlok holds - come to the conclusion that the selection and appointment was not in accordance with the Constitution. Where the deliberative process suffers from a clear constitutional infirmity of being arbitrary and the constitutional, institutional and functional requirements are not borne in mind in the process of appointment, the selection and appointment stand vitiated. Despite a constitutionally infirm process in violation of Article 14, the Court cannot anoint an appointed candidate by merely looking at a bio-data, as the Additional Solicitor General's submission would lead the Court to do. That would substitute judicial review for merit review, a distinction made in Centre for PIL. Where the integrity of the decision-making process is constitutionally flawed or the selection process is vitiated, the appointment would be contrary to the mandate of Article 14. Though Article 316 does not lay down any formal qualifications, competence and integrity are implied conditions which must be fulfilled having due regard to the importance of the constitutional functions ascribed to the Public Service Commission by Article 320 of the Constitution. As the head of the Public Service Commission, the Chairperson acts as a constitutional trustee. A person who is selected for appointment to such a post must be without any blemish or taint and should not be appointed merely because he or she is eligible for the post. The Court has to emphasise institutional competence and institutional integrity. In determining whether the power of judicial review should be exercised, what is to be borne in mind is whether the deliberative process was fair and consistent with Article 14 and whether institutional requirements had been borne in mind. On both these facets, we find that the decision to appoint the first respondent was clearly flawed and in breach of the constitutional requirements governing the proper discharge of the duty to appoint a person of competence and integrity under Article 316. As we find from the record, relevant factors which would have a bearing on the ability of the first respondent to discharge his duties have been ignored. Relevant material having a bearing on the antecedents and character of the first respondent has not been borne in mind. There has been absolutely no application of mind to merits of other competing candidates who formed part of the available pool of candidates who had expressed their willingness for appointment. One name alone was hand picked. The process for nomination which was initiated on 29 March 2013 was completed on that day and the appointment was notified barely within a period of few days thereafter. The entire process of verification of antecedents and character was completed on a Sunday which was 31 March 2013. The process is thoroughly destructive of the rule of law and cannot be countenanced by a constitutional court. This falls within the parameters of an exceptional case, as laid down in both the judgments in Salil Sabhlok. The submission which has been urged by ASGI that this Court has to bear in mind the fact that the first respondent has continued to work as Chairperson for a period of about two years and more will not displace the patent arbitrariness. The appointment was ultra vires Article 316. Constitutional illegalities are not sanctified by the passage of time. For these reasons, we are of the view that the petitions must be allowed. In the second writ petition (PIL No 51911 of 2015), there is also a prayer for a mandamus directing the Central Bureau of Investigation to enquire into the alleged acts of the Chairperson. During the course of the hearing, the learned counsel appearing on behalf of the petitioners has fairly submitted that since the ambit of the challenge in these proceedings is in relation to the legality of the appointment of the first respondent the petitioners may be granted liberty to adopt independent proceedings to pursue the aforesaid prayer. We accordingly grant the liberty as prayed. We accordingly allow the writ petitions by issuing a declaration that the appointment of the the first respondent as Chairperson of the Uttar Pradesh Public Service Commission is ultra vires, arbitrary and in breach of the provisions of Article 316 (1) of the Constitution. The appointment shall accordingly stand quashed and set aside. In the circumstances of the case, there shall be no order as to costs. The original file be returned by the Registrar General of this Court to the learned Advocate General of the State after preserving certified photocopies.